A: After our initial planning meeting, we will order raw materials and produce your lab samples. It may take 2-3 weeks for fresh raw materials to arrive. Your product is then developed in our Lab and submitted to you for approval (PIS and Mixing Sheets are included with all samples). From start to finish, a product usually goes through an average of 2-5 customer revisions – each revision takes about a week to turn around. Once we have an approved formula from you, the time until production (6-8 weeks to receipt of finished goods). A: 50% down prior to production and the balance prior to shipment. Special arrangements are available for certain clients (pending credit approval). A: No, our Quality personnel can help advise but our customers need to obtain legal counsel. A: To date, we have always received a “clean” status report from the FDA, meaning that we are compliant and we have no judgments. Aerosol and Liquid Packaging is always improving policies and will continue to implement minor procedure corrections and documentation adjustments as suggested by the FDA as they are constantly changing. Additionally, this is public knowledge available at fda.gov. A: No. The FDA does not certify any products. However, the FDA does certify and provide licenses to approved manufacturing facilities, like Aerosol and Liquid Packaging. All of our products are manufactured in an FDA-Approved, cGMP certified facility. Because we produce OTC products, we also have higher quality standards than most facilities. A: Certain basic product development requires a nominal fee. However, for more standard development projects, we charge to cover lab time and testing labor; although these services are not profit centers for us. For more involved product development we usually ask for a $1,500 retainer. A $750credit will be given to you on your first order. Determination of which section of the Product Development pricing structure your company falls into is made by our team and provided to you prior to any development beginning. A: Most product development takes 4-12 weeks to complete, depending upon our customer required changes and feedback. Essentially you determine the process length. A: Yes. We have warehouse space available for a fee $100-$200 a month. Yes, we can ship finished bulk product to you upon request. We are not a Fulfillment House though (i.e. we do not ship small individual quantities to separate addresses). Q: How do you compare to other Contract Packagers (production size and facility capabilities)? 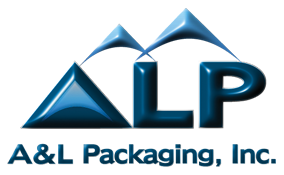 A: Aerosol and Liquid Packaging is a niche Contract Packager. We focus on helping smaller companies form their foundation and get established. We assist medium sized companies to take the next growth step by refining product lines and improving quality. We work with large companies in developing and introducing new, innovative product lines. We always encourage our customers to carry their own product insurance for issues that may arise with consumption. Aerosol and Liquid Packaging is responsible to produce the product correctly but not to protect you against third party law suits. Please request details and specifics from us ($2,000,000 Aggregate and $1,000,000 per occurrence). A: Aerosols, Drums, Totes, Bulk, Gallons all the way down to a ½ oz fill. A: Yes, we can help with every aspect of packaging and “Master Shipper” design. A: 75, 165, 260, 900 and 1,100 gallon. A: 5,000 units for most products. If your product is an OTC then minimums are 10,000. A: 3 to 6 weeks (on average) when a purchase order is received and all components are in house, we strive to deliver sooner than that, if possible. Q: How do our labels need to arrive at Aerosol and Liquid Packaging? A: This depends on what packaging option(s) you prefer. This is often the biggest delay in the process. On average, packaging takes 8 weeks. However, we have seen time lines of up to 24 weeks. A: Aerosol and Liquid Packaging standard QA/QC time-line is as follows: Immediately after a production run, samples are taken and sent to be tested if required. If your product doesn’t require testing then it will be shipped immediately. A: Aerosol and Liquid Packaging stands behind our products 100% and will insure your satisfaction. We always work with our customers because our reputation in the industry and our customer relationships mean everything to us. ~Q: Is there a manufacturing “Setup Fee” in addition to the prices we will receive? ~Q: What is the cost of a Minimum Production Run? A: Our standard minimum order is 5000 units but certain circumstances do arise and we will work with you. Under 5000 piece liquid fills it is a $250.00 small run charge, on aerosols it is $500.00. ~Q: What do you charge for Product Development? A: Basic product development is FREE. For more standard development projects, we charge $150 per hour. For more involved product development we usually ask for a $1,500 retainer. A $750 credit will be given to you on your first order. Determination of which section of the Product Development pricing structure your company falls into is made by our Master Chemist and provided to you prior to any development beginning. A: On small orders, packaging could be 60-70% of your total cost of Finished Goods (depending on your choices). On medium sized orders, packaging could be 50-60% of Finished Goods (depending on your choices). On large orders, packaging could be 40-50% of Finished Goods (it all depends on your choices). Packaging options provide an incredible range of choices: From under $1.00 to $8.00 per unit or more. We do not provide packaging however we deal with companies that we can either purchase from on your behalf, or we can connect you with. A: We do not design labels but we can suggest who we work with on label design and printing. One thing you ought to be aware of is that when the labels are printed, one of the charges that you will notice is a “plate charge.” This is a one-time fee, and one plate is needed for each color used on your label. Each plate has an individual cost. This plate fee is subject to change by the printer. The only time you will ever need to pay for new plates is if you make any changes to the label in between production runs. Q: What certifications do Aerosol and Liquid Packaging have? A: Aerosol and Liquid Packaging is cGMP compliant and we have an alcohol license and are monitored by the ATF. Q: What sets Aerosol and Liquid Packaging apart from the numerous manufacturers available? A: Experience. We look out for you, we know where problems can arise and we proactively troubleshoot for you. For example, some customer supplied components may save you time and money on the front end but could cause extreme delays on the back end. If you are planning to provide us with Raw Materials or Packaging Components which you procure, be sure to let us know so we can verify compatibility.